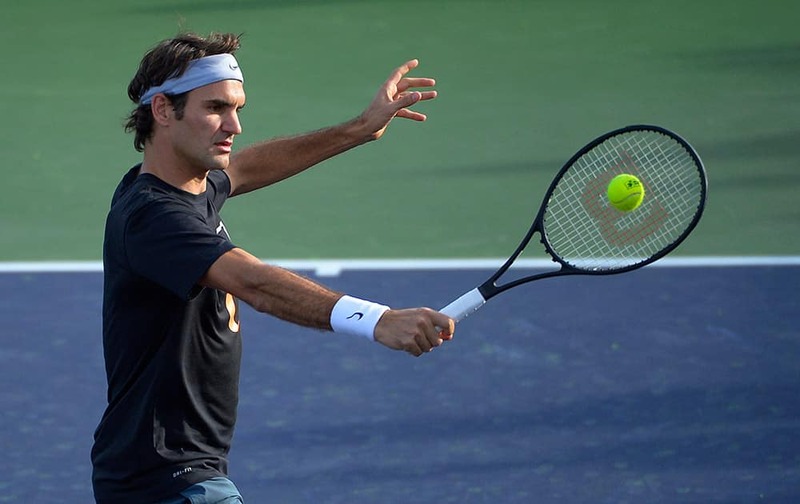 Roger Federer, of Switzerland, hits during practice at the BNP Paribas Open tennis tournament. 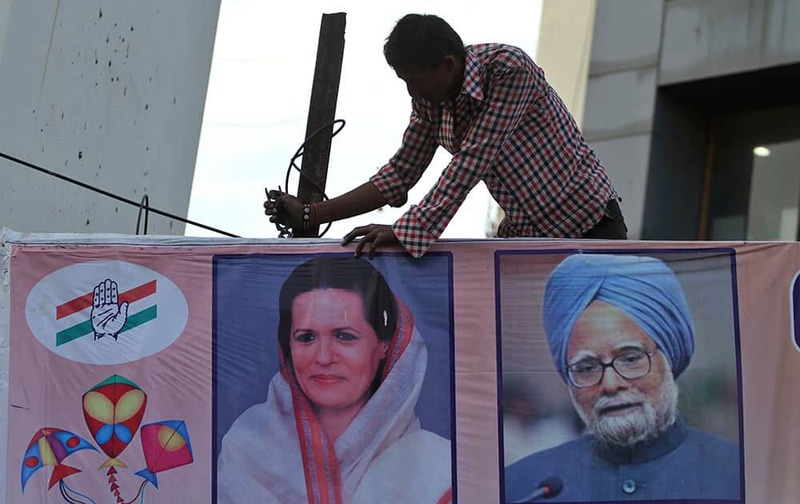 A worker removes a hoarding featuring India`s ruling congress party president Sonia Gandhi and Indian prime minister Manmohan Singh, right as part of implementing the election commission`s model code of conduct in Ahmadabad. 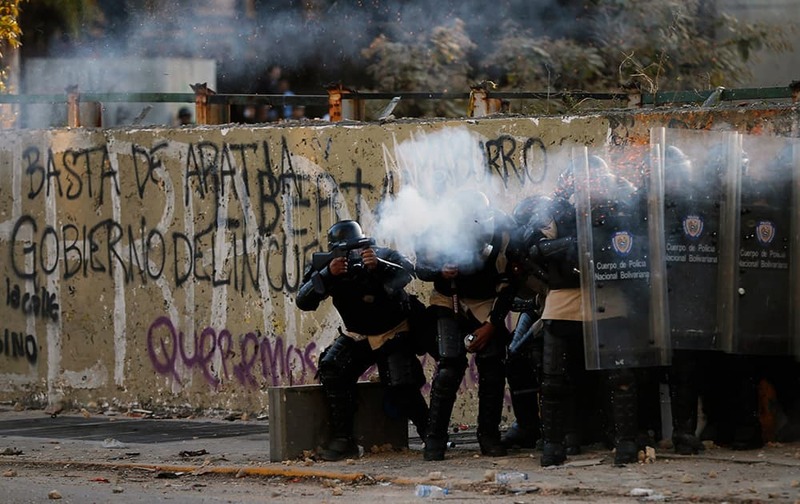 Bolivarian national police officers fire teargas at demonstrators during clashes in Caracas, Venezuela. Texas Sen. Wendy Davis, D-Fort Worth, smiles as she speaks to supporters at her campaign headquarters in Fort Worth, Texas. Now the Texas governor`s race really begins and Davis insists that, yes, it`ll be a race. 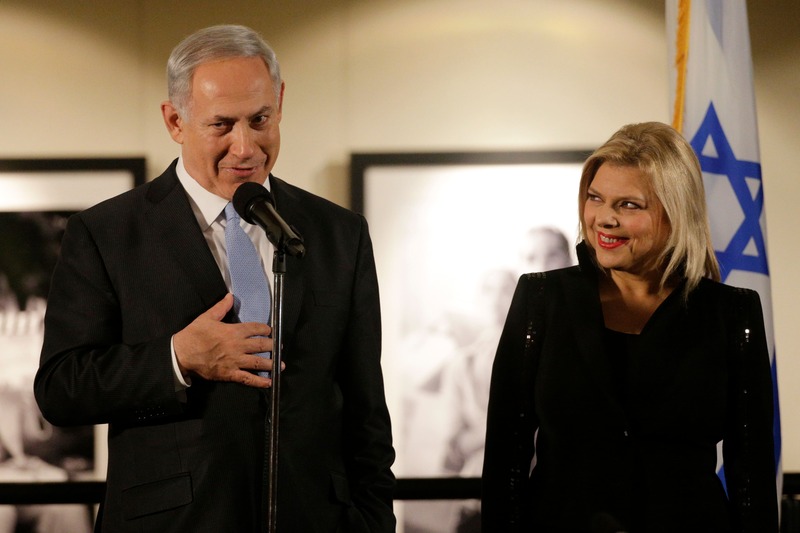 Israeli Prime Minister Benjamin Netanyahu, accompanied by his wife Sara, right, speaks before the screening of the television documentary `Israel: The Royal Tour` at Paramount Studios in Los Angeles. 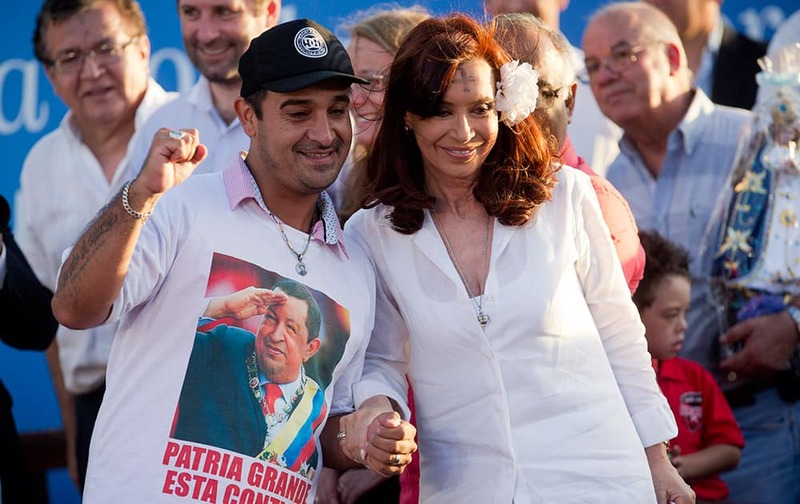 Argentine President Cristina Fernandez, right, poses with a supporter wearing a t-shirt with a photo of late Venezuelan President Hugo Chavez after a mass at the Villa 21 slum in Buenos Aires, Argentina. 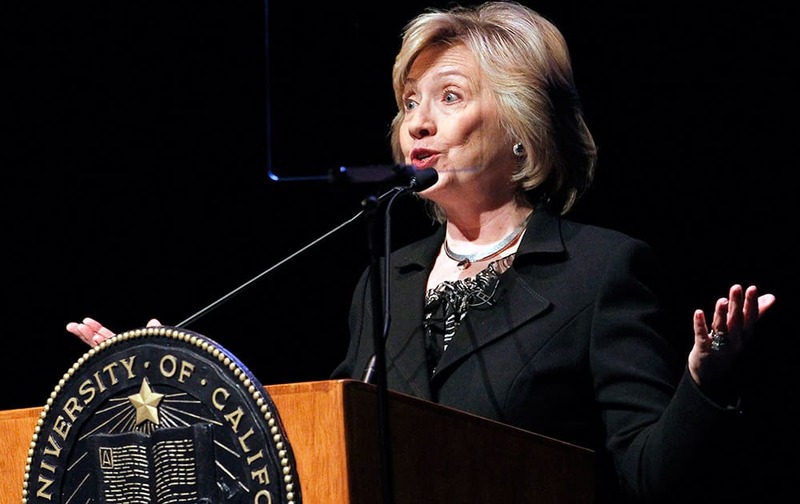 Former Secretary of State Hillary Rodham Clinton, uses a teleprompter as she speaks to students at the University of California Los Angeles, UCLA campus on the subject of leadership in Los Angeles. 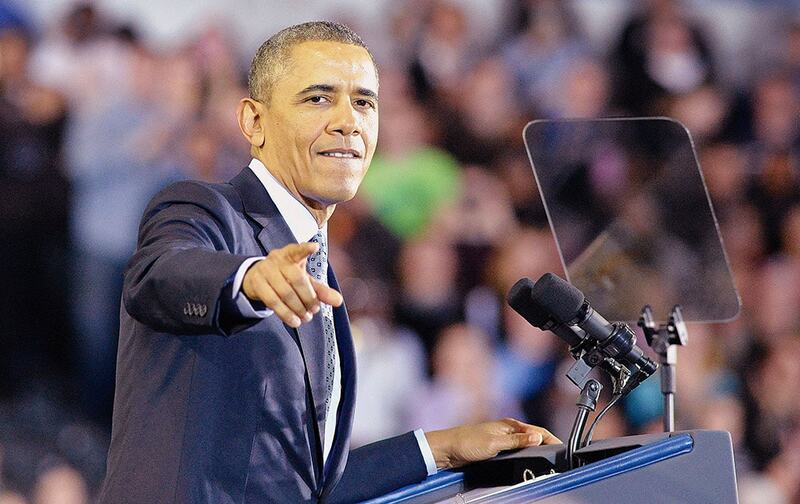 President Barack Obama talks to the crowd at Central Connecticut State University during a speech about raising the minimum wage. First Lady Michelle Obama talks to Affordable Care Act enrollee Kalenthia Nunnally, right, as Annie Neasman, left, and certified application counselor Paul Andres Salazar, second from left, look on at the Jessie Trice Community Health Care Center in Miami. Activists of India’s opposition Bharatiya Janata Party (BJP) and those of Aam Aadmi Party, or Common Man`s Party, wearing white caps clash in Lucknow. 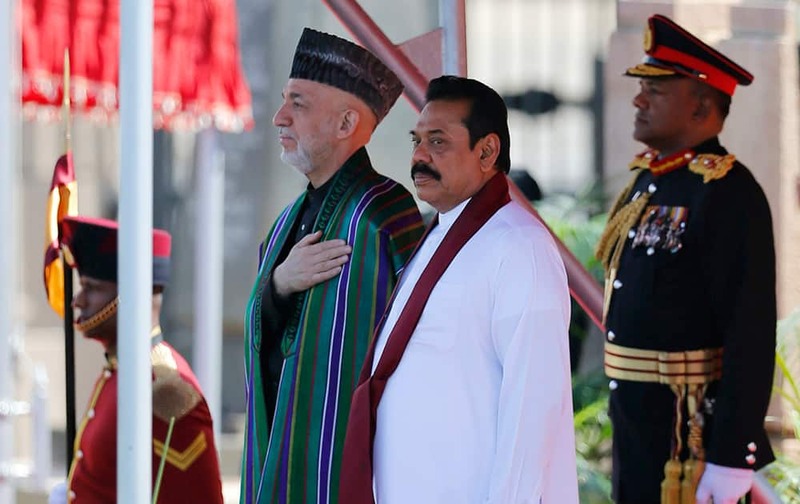 Afghan President Hamid Karzai and Sri Lankan President Mahinda Rajapaksa stand at attention during an official reception for the former in Colombo, Sri Lanka. 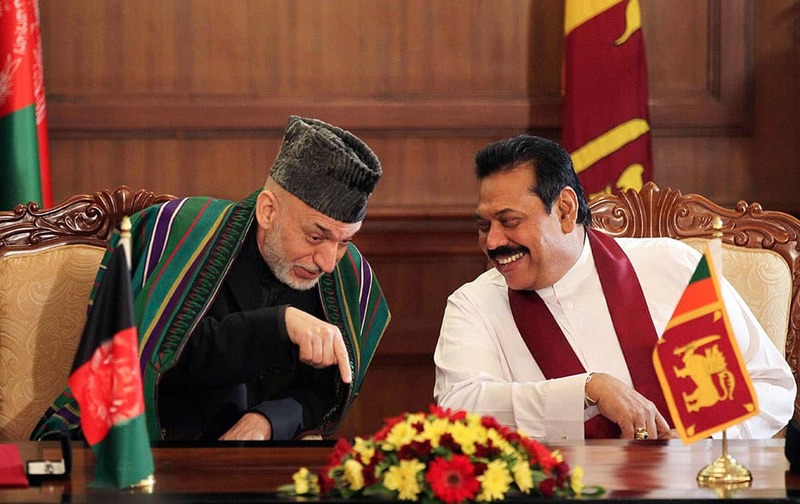 Karzai is on a three-day official visit to Sri Lanka. 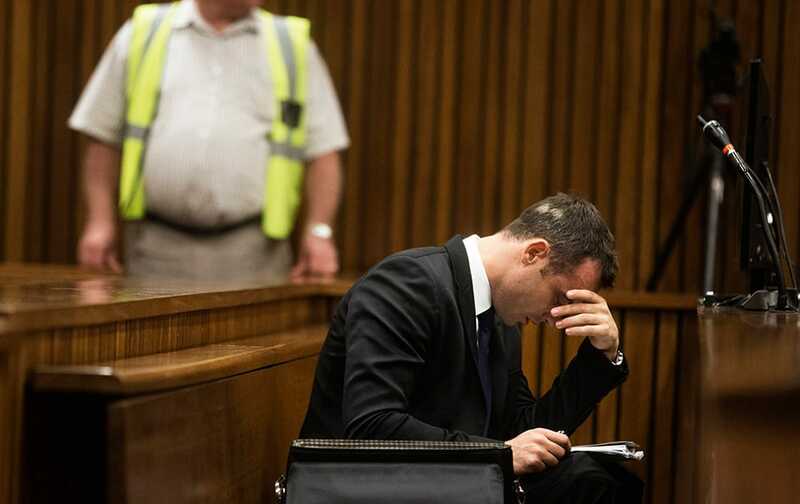 Oscar Pistorius, right, places his hand over his eyes while sitting in court on the fourth day of his trial at the high court in Pretoria, South Africa. 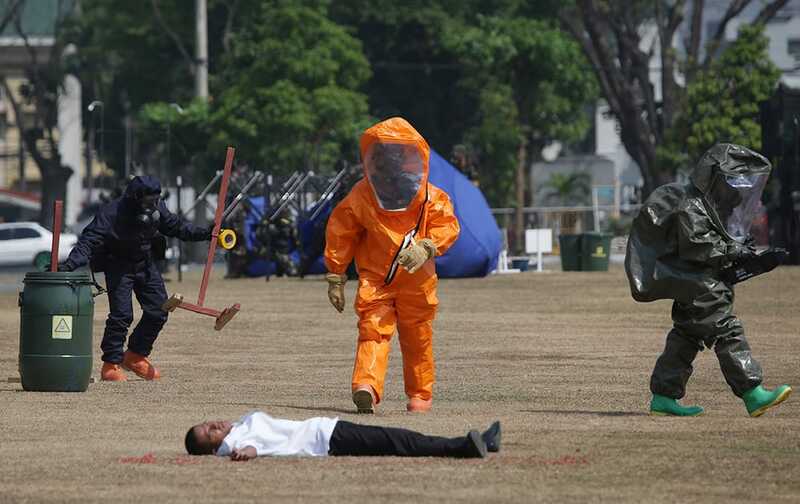 Filipino troopers from the Explosive Ordnance Disposal Division wearing chemical suits check on a victim during a mock attack as part of the 1st Global Terrorism and Chemical, Biological, Radiological and Nuclear explosives Conference at Camp Aquinaldo military headquarters in suburban Quezon city, north of Manila, Philippines . 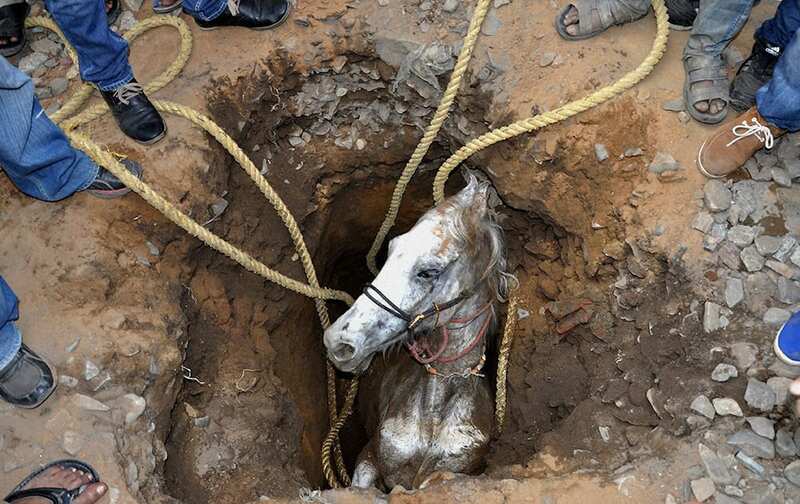 People stand around a pit to rescue a horse that fell in, in Jalandhar. 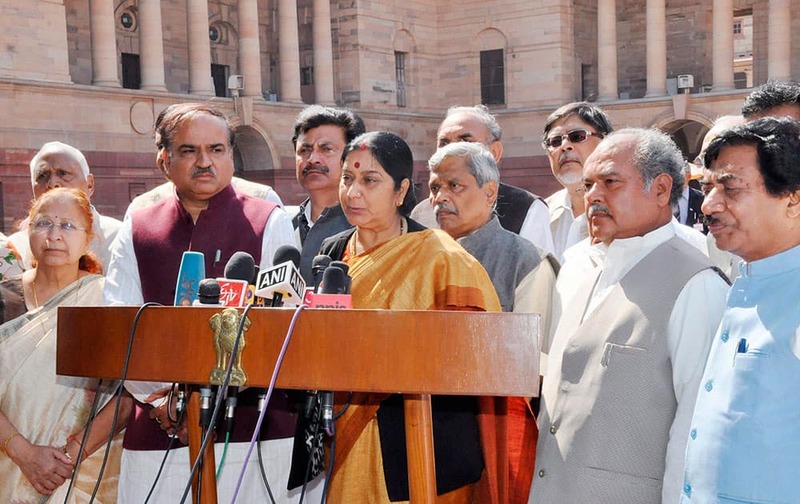 BJP MP Sushma Swaraj, leading a delegation of parliamentarians from Madhya Pradesh, addresses the media after meeting the President at rashtrapati Bhavan in New Delhi on Thursday over the Union government`s refusal of special package to the rain-hit farmers of the State. 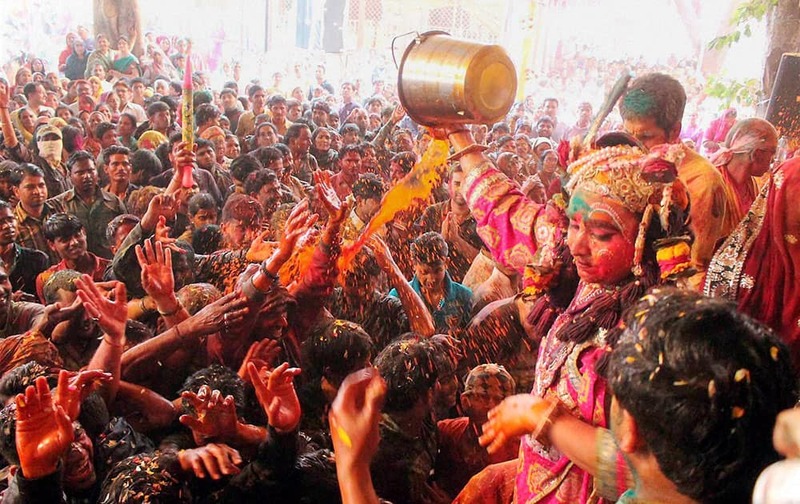 Devotees celebrate Holi at Raman Reti in Mathura on Wednesday evening. 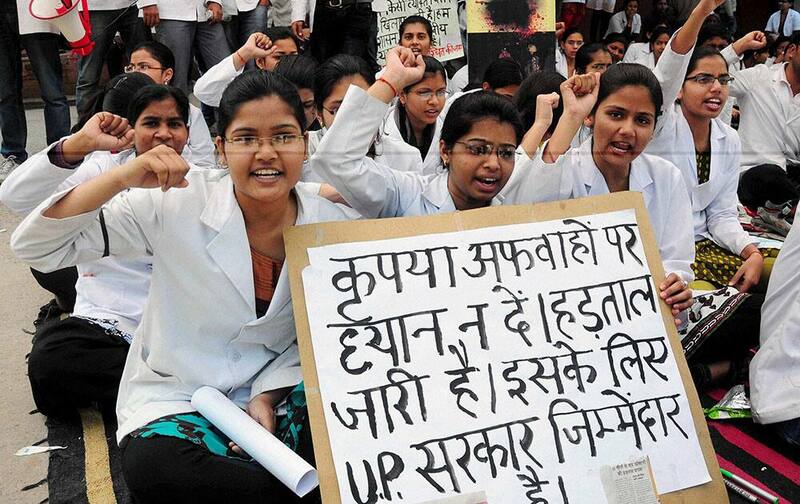 Junior doctors shout slogans during the 6th day of their strike in Allahabad. Afghan President Hamid Karzai, speaks with Sri Lankan President Mahinda Rajapaksa during their meeting in Colombo. 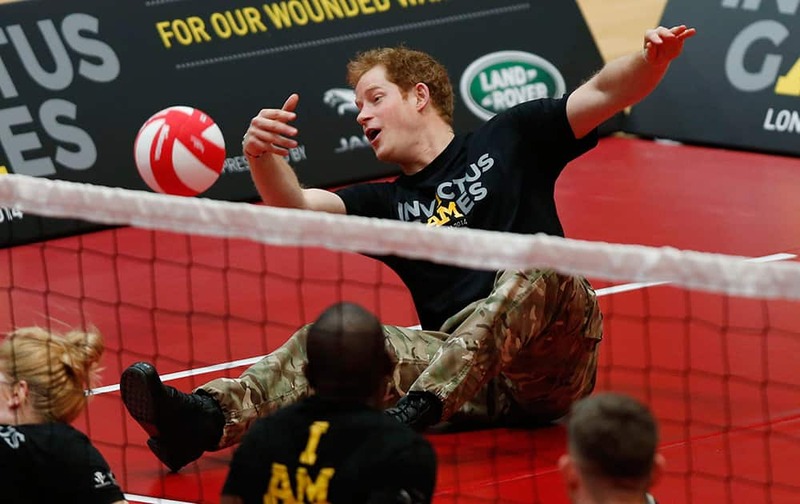 Britain Prince Harry plays a game of sitting volleyball during the launch of the Invictus Games for wounded warriors at the Copper Box arena in the Queen Elizabeth Olympic Park in London. Bangladesh’s Rubel Hossain jumps as he celebrates the wicket of Sri Lanka’s Mahela Jayawardene during the Asia Cup one-day international cricket tournament in Dhaka, Bangladesh. 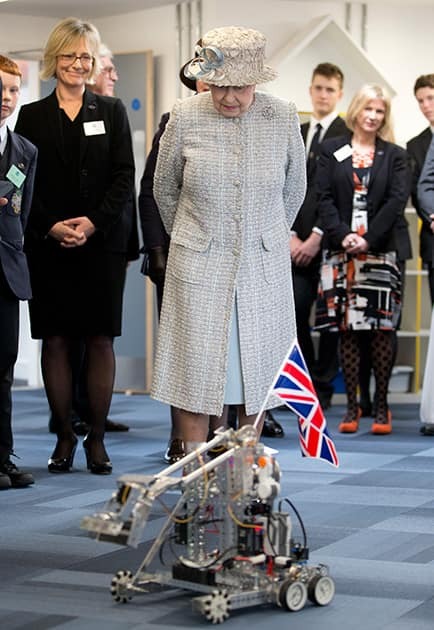 Britain`s Queen Elizabeth II looks at a robotic demonstration as she visits Reed`s School, in Cobham, England. 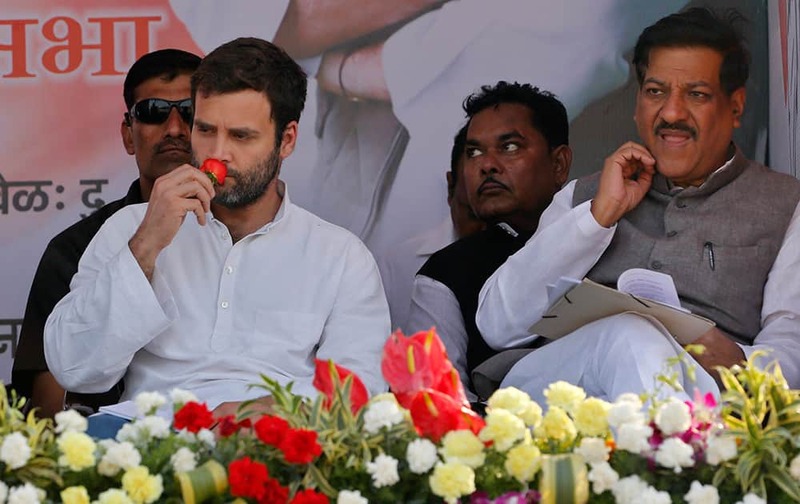 Rahul Gandhi, smells a rose that was presented to him during an election campaign rally in Thane, outskirts of Mumbai.